Mango & Tomato: Eight Days of Hanukkah Giveaway: Day 5. Sabra. Fun Layered Dip for Any Party! Eight Days of Hanukkah Giveaway: Day 5. Sabra. Fun Layered Dip for Any Party! 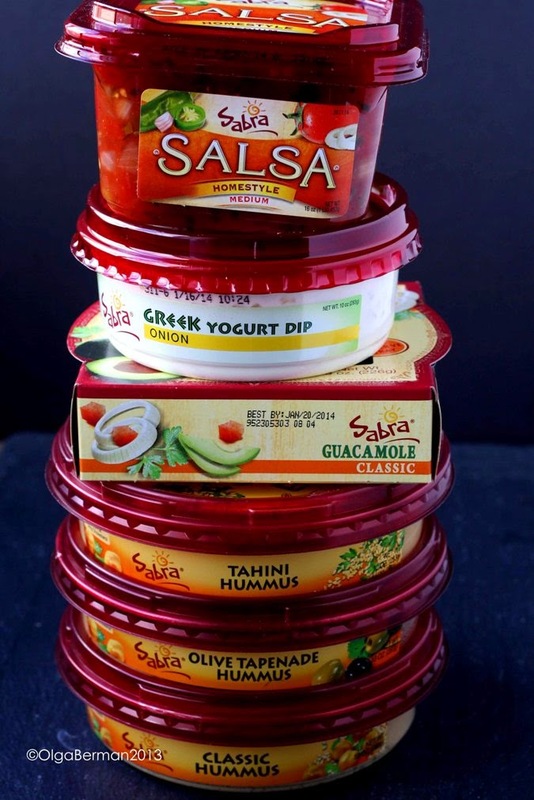 Of course you know Sabra for a variety of its humus flavors, but did you know they also make salsa, guacamole and an onion dip? Doesn't this just scream party??? 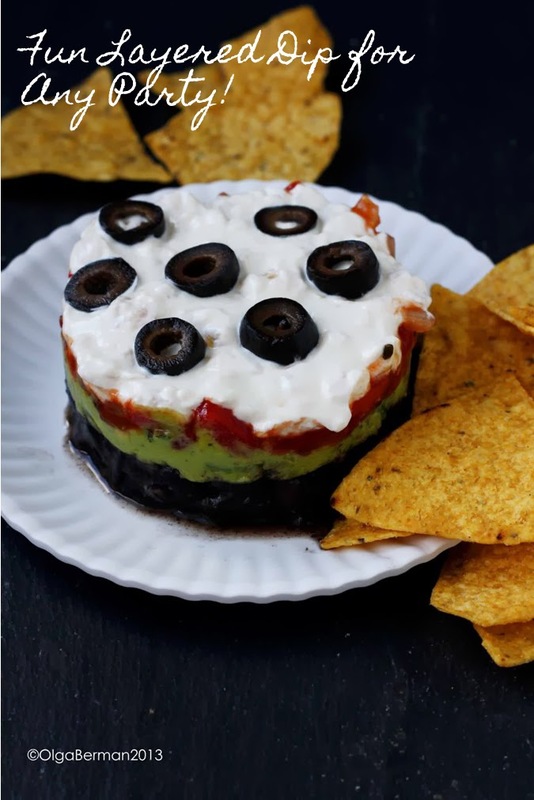 Whether you are watching one of the many footballs games, have girlfriends over for a movie, or just hanging out at home and avoiding doing anything productive, this layered dip is perfect! In a dish layer black beans, guacamole, salsa, and onion dip. 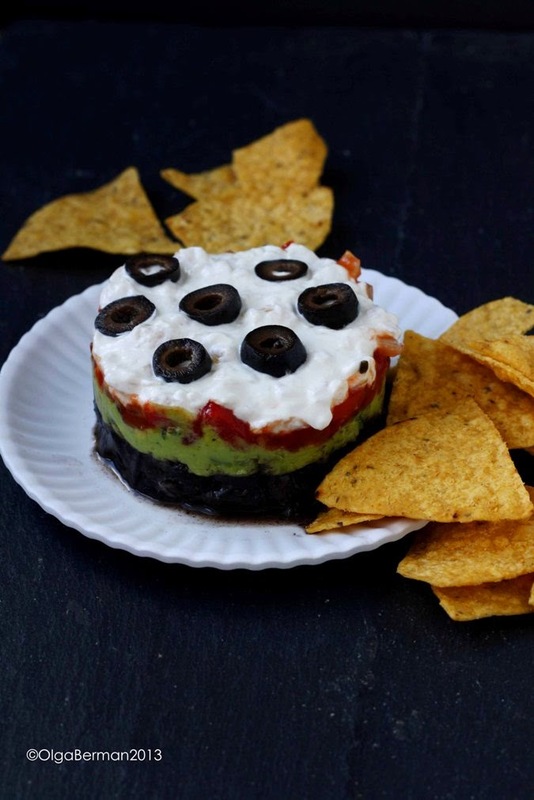 Top with black olives and serve with tortilla chips. You can make the dish in a large container, but I thought it'd be really adorable served in individual portions: just use a round biscuit cutter as your mold! Ready to win your own collection of Sabra products? Will you be the lucky one? 1) You must ♥ hummus!! And don't forget about the other Eight Days of Hanukkah Giveaways! Disclosure: I received a set of Sabra products and they will provide the same set for the winner of this giveaway. I have received no monetary compensation. All opinions are my own. Love olive hummus, greek hummus, spicy hummus....all of them really! I love the idea of individual layered dips - I think I'll do this for my next party (or snack dinner). I love red pepper hummus! Love the olive tapenade hummus! I like the roasted red pepper flavor. I just recently bought an Old Bay hummus at Wegmans that's been pretty delicious! I love cilantro jalapeño hummus, and plain but super garlicky hummus. ooh...my favorite...that is so hard! I love the roasted red pepper kind...but I have never found a hummus I didn't love! traditional hummus is always my go to flavor. I thought the pumpkin hummus I made for Thanksgiving was pretty good no? Roasted Red Pepper is my favorite right next to a triple olive hummus! I usually make roasted garlic hummus, and I've tried roasted red pepper before, too which wins points for looking gorgeous! That onion dip sounds sooooooooooo gooooooooooood. My favorite flavor is spicy chipotle! I make an avocado hummus that is good enough that it convinced my 3 kids to like chickpeas, avocado, and sesame...none of which they liked individually before the hummus. Roasted red pepper, so clean yet flavorful.